Several times a year, Qantas offers its frequent flyers the chance to earn double status credits on domestic and international flights. There is usually one Qantas double status credits offer made in the first quarter of each year: over the past few years this has been held in February or March, and runs for one week for travel booked up to a year in advance. For example, the 2018 Qantas double status credits promotion ran from 1 February to 5 February 2018 and applied to travel from 12 February 2018 to 20 January 2019. The third quarter of the year usually sees a second Qantas double status credits offer which is often 'targeted': only some Qantas Frequent Flyer members receive the offer via email, instead of the promotion being open to all QFF members as is the case with the Q1 promotion. This does not preclude additional double status credits promotions popping up at other sporadic times throughout the year, although those can often run just for a handful of days. Qantas of course never tells anybody in advance that these deals are coming up, so in every case the trick is to be prepared and have a 'double status credit strategy' ready so you can move fast to make the bookings you need to take advantage of these offers. In this guide I won't focus much on 'status runs' because I do not believe these are relevant to the business traveller. A status run is usually a series of flights made purely to earn status and often sees the passenger not even stopping at their destination but coming straight back on the same flight. Professionals simply don't have the time for such indulgences but It doesn't mean they cannot benefit by employing the same techniques as a status run, especially if they can turn those flights into a short holiday. Before you run off to click that Book Now button, identify your goal. Here are the most common drivers during a Qantas double status credits promotion. Qantas Silver status: you need 300 status credits to earn Silver status for the first time, and 250 status credits to keep Silver status for next year if you already have it. Silver is not a very useful tier because the main benefits are two Qantas Club lounge invitations and use of 'premium' check-in counters, but everybody has to start somewhere, and a double status credits promotion will easily get you to Silver as a starting point. Qantas Gold status: you need 700 status credits to earn Gold status and 600 status credits to keep Gold status. 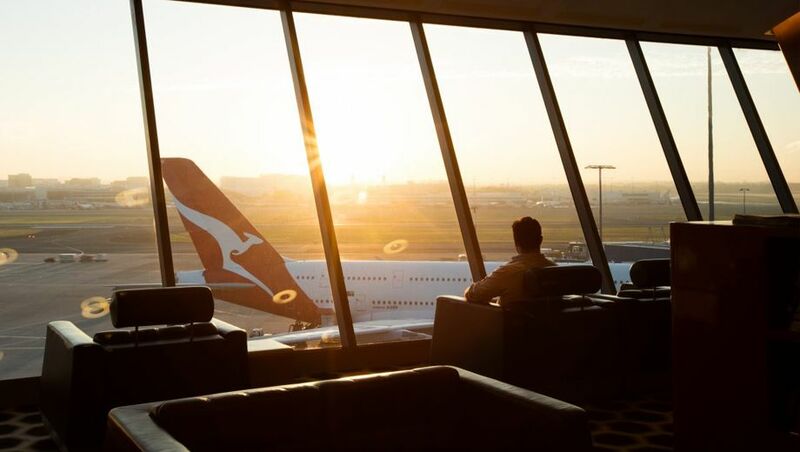 Gold is often thought of as the 'sweet spot' because it gives you lounge access across Qantas and Oneworld airlines along with Emirates, plus with the use of premium security lanes and priority boarding. Qantas Platinum status: you need 1,400 status credits to earn Platinum status and 1,200 status credits to keep Platinum status. This gives you access to Qantas' domestic business class lounges and the international first class lounges of Qantas and Oneworld airlines along with Emirates. Qantas Platinum bonus reward: at 2,400 status credits within your membership year you can choose between a bonus of 50,000 Qantas points or free Qantas Gold status for any family member or friend. Qantas Platinum One status: you need 3,600 status credits to earn or keep Platinum One status, and at least 2,700 of those status credits must be on 'Qantas marketed flights'. Platinum One members can give free Platinum status to their partner, receive two invitations to the Qantas first class lounge to give to any family member or friend, get free 'fly ahead' access to earlier domestic flights, can have any available seat converted into a points-based 'award seat' and tend to get the best attention from Qantas when flights are delayed or cancelled. Qantas Lifetime Silver status: you need to earn 7,000 status credits over the lifetime of your Qantas Frequent Flyer membership (read Why Qantas Lifetime Silver status is worth having for more on this). Qantas Lifetime Gold status: you need to earn 14,000 status credits over the lifetime of your Qantas Frequent Flyer membership (read How to get Qantas Lifetime Gold status for more on this). Ask yourself: how many status credits do I currently have, what status milestone do I want to reach, and is that level of status really going to be useful for me? Then map out the number of status credits needed, or the flights you need to do, to get from where you are to where you want to be, based on the double status credit offer. This sounds very straightforward but I believe that it always helps to clearly define your goals before you set out. For reaching or keeping Gold or Platinum status you can probably get there with just one international business class return flight, and that might already be on your plans for an upcoming business trip. For example: Sydney, Melbourne or Brisbane to Singapore or Hong Kong return in business class gets you at least 480 status credits during a double status credits offer, based on a discount fare. Business class return to Los Angeles is worth between 720 and 760 status credits based on your fare type, and business class return to London is worth upwards of 1,120 status credits. If you are chasing Lifetime Silver or Lifetime Gold status then you might want to take this opportunity to plan and book all your business trips for the coming year, especially those which are based around fixed events such as conferences, along with any holidays. The more flights you book the closer you will get to lifetime status! In calculating the number of status credits you need to reach a goal such as Gold or Platinum don't forget about the loyalty bonus. This is awarded at every 500 status credits earned on Qantas and Jetstar flights in your QFF membership year and lets you choose between a 'loyalty bonus' of 50 status credits or 8,000 Qantas points. However, status credits earned during a Qantas double status credits promotion may or may not count towards the loyalty bonus. The Qantas 2018 Double Status Credits promotion excluded the loyalty bonus, which meant that if flight booked during the promotion took your tally to 1,000 status credits you would not be eligible for those extra 50 bonus status credits. So when a Qantas double status credits offer lands in your inbox be careful to check the terms and conditions at the bottom of the email or in the 'fine print' on the promotions page. Read more: Qantas loyalty bonus explained – should you choose frequent flyer points or status credits? 3. 'Qantas marketed flights' or 'Qantas operated flights? Checking the fine print also applies to looking for other conditions such as if the promotion applies to partner flights – for example, a QF8xxx flight number which is actually an Emirates codeshare. This is called a 'Qantas marketed flight' and means that your ticket carries a QF flight number, even though the flight actually takes place on another airline. If the double status credits deal is limited to a 'Qantas operated flight', then trips on codeshare partners will only earn the usual number of status credits instead of a double serve of status credits. This can be a deciding factor in booking trips, or rather which airline to fly on, during a double status credit offer. 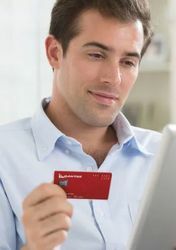 What are your tips for booking flights during a Qantas double status credits promotion so that you can maximise your status credit earn? Recently DSCs no longer count towards the Platinum bonus reward at 2400 SC (similarly for the Platinum One Loyalty Bonus at 5000 SC and 7000 SC). It's worth checking that in the T&Cs. If you have the time adding additional flight segments can make a difference often at minimal cost (sometimes it can even work out cheaper). Fly say MEL-SYD-SIN-LHR-SIN-SYD-MEL in Business Class (you can see options to fly via SYD for this when looking up MEL-LHR return fares - no need for multi-city for this one) and you can earn upwards of 1280 SC. Taking a loyalty bonus for 500 SC on QF in one year that'd take you to 1330 SC just 70 SC short of earning Platinum from one trip. Domestically routes such as MEL-BNE-CNS (shows up on a search of MEL-CNS) can be good for a quick weekend away to escape the winter cold for a few days. Flying indirect when you could fly direct does take more time though. If you've got time for a long holiday it can be a good time to book a OneWorld Round the World trip. Whilst you'll likely only earn DSC on the QF marketed and operated flights (check the T&Cs to see if there are any exceptions - and note that Emirates is not a OneWorld airline) you'll fly a lot more miles than a simple return trip and earn a lot of Status Credits. The DSC for the QF legs could make the difference for earning/retaining your desired status level off the one trip! Very helpful. We're about to do Syd>NYC return which gives is 1120 from the double SC option under which we booked it. Having just done a RT to NZ in Emirates first booked via QF we got 240. Shame about the loyalty bonus going missing for the Double SC but we are close enough to the 1,400 we need for Plat. Very handy! Just to reiterate the point made by Gary - check and double-check the terms and conditions. I was caught out by a promotion in September last year where double points were offered for QF and EK operated flights and double status credits for QF operated flights. I had assumed the double points offer was the same as the double status offer, so I booked EK flights with a QF number. Fortunately, I realised my mistake after reading a post on this site! I was able to change my flights . My real point is that it was possible to change the flights. The T&Cs were poorly written on this point - but so long as the flights fall within the prescribed period, changes could be made. This may be true for future offers. Personally I find a trip to LHR in J is a great way to retain Platinum from the one trip (or almost from the one trip depending whether one chooses to book an option with a domestic connection to earn more SC or not). If you earn/retain status at the start of your QF membership year you won't fall back to a lower status level for nearly 2 years. Whereas earning/retaining status at the end of your membership year would only guarantee you remain at that level for a little over 1 year. You need to decide what will work best for you, what will provide the best value. Given the short window to book it's good to plan ahead before an offer is made as to what you might book. Also if you're aware of what good prices are for routes you can determine which trips (if you're flexible) are good options to book during the booking window based on fares available at the time. Also sometimes there can be problems with automatic crediting of DSC due to time zone differences. The T&Cs will usually say that bookings need to be made between say 12:01am AEDT on the first day of the booking window and 11:59pm AEDT on the last day of the booking window. However QF's IT systems use GMT. So if you book before midnight GMT on the first day of the booking window it may show up as being booked on the day before on their systems and not automatically credit. Hopefully they'll fix this at some point. You should be able to get them to manually credit the DSC but it's a hassle to have to chase it up and you have to wait e.g. 6 weeks before doing this. That's potentially less time you have to enjoy a higher status level. There are much cheaper ways to retain Platinum during a DSC promo than flying return J to LHR. Anyone knows if booking via qantas contact center would be eligible for a double status credit offer? And for lifetime tier, if someone never chose a Qantas metal but accumulated enough points by flying other ow airlines is qualified for a lifetime status? The answer is "Yes" to both of your questions. Any Qantas booking channel earns double status credits during these promotions. And there is no "Must fly on Qantas" rule for earning lifetime status but you could find that it takes your entire lifetime to get lifetime status if you are flying on other OneWorld airlines, because Qantas sets much lower SC earn rate compared to flying on QF. Plus you wouldn’t have any status with qantas whilst you were trying to get lifetime status, if you didn’t take any qantas flights given the 4 flight minimum requirement. The way a OneWorld RTW trip makes sense during a DSC promo is if you do the long legs on QF e.g. flights between Australia and LHR and also a flight between Australia and LAX at the other end of the trip. Whilst the earn rates aren't nearly as good for BA, AA, CX etc. the sheer distance covered plus the generous earn on the QF legs will mean the total haul of SC for the trip should be a big total. Do you have to have the full QF marketing preferences selected to be notified of these promotions? I don't think so, I think Qantas blasts an email out to everybody, but I expect that when there is a Double Status Credits promotion you will read about it pretty quickly here too! From experience QF doesn't email everyone about a DSC promo even when it's open to everyone. When it's targeted only those that are targeted will get the email. Does this mean that if I haven't received an email about the DSC offer, I'm not eligible for it? If it's an open-to-everybody offer, as the early year promotions are, you may or may not receive an email but you'll still be eligible. The targetted ones are the ones where no email = no eligibility. Yes, they'll have a splash ad on their main website page if it is a general offer. Targeted offers will be emailed directly to you - so always accept promotions etc in your QFF membership details. The PER-SYD/MEL/BNE-AKL can be very lucrative with these offers, often enabling a long stopover (less than 24 hrs though). For me internal flights can be better than international and as mviy indicated the SYD-BNE-CNS return earns a lazy 400SCs in J without the need to do the LHR thing. This is even better than the quick jump over the ditch to AKL which is 340SCs. But LHR is tempting...!!! I can recommend Noumea for a long weekend getaway, just a few hours from Sydney. During the last Qantas double status credits promo the airline also put Sydney-Noumea business class on sale for $1000 return, so that was 4x60SCs (60SC each way, x2 for DSC promo) = 240SCs. Add some routing via Melbourne/Brisbane/etc, especially with a few connecting flights pre- and post-, and the total haul can go up to 800+ status credits without paying too much more. Confirm this one is great value coupled with a DSC offer. I just got back from MEL-SYD-NOU booked in J via DSC, netting me 480SC for $1005 return. Loved NC also and planning to make this an annual winter sojourn / status-run. I have only ever received a 50% extra Status Credits targeted offer. Do we have any idea how they decide who gets the 50% Extra Status Credits targeted offer and who gets the Double Status Credits targeted offers? Does anyone know how Qantas decide who gets the email offer? Or is it dependant on your membership level. We recently completed our flights booked through the Feb offer and are keen to build up some more via these types of offers. PS the standard SC’s were credited straight away and extra SC’s were credited 2 days after. Another little thing to be aware of. You wont be able to change your booking. The Double SC only applies to the originally booked itinerary. Any change invalidates the offer. This includes if you 'go show' to a different flight at the airport on the day of departure. I lost the bonus SC on MELSYD SYDMNL and SINMEL in J because I turned up early and moved to an earlier MELSYD flight to improve the connection time in SYD. I would assume this doesn't apply when QF moves you to another flight due to them being +1hr late getting into SYD from NOU ? I guess I'll find out over the next week if my DSC points post... or not.... for that final SYD-MEL leg. Be careful of the codeshare. I booked a holiday Mel-Penang via Singapore. Only the Mel-SIN leg counted for DSC because the SIN-Penang flight was on a Jetstar Asia plane even though it was a QF flight. I'll bet it's up later tonight or tomorrow. Just make sure to only register AFTER the time stated on the page when it goes live. It's a great double yolker (some here may know what I mean). Afraid you've got that one wrong, QF WP: this article was written by Gary Walter last week (he filed it to me on Thursday, I edited it on Friday) and published on Monday, as you can see from the dateline at the very top – so this was all done without any knowledge of any impending Qantas double status credits promo. Then very good timing by Gary :D. I was alerted to the DSC by a friendly TA about the same time as it was being discussed on AFF. Actually, Gary and I came up with the idea a month ago (on the back of my own DSC-inspired Noumea trip) but he only got around to writing it last week, so yes, quite fortuitous timing indeed! I enjoyed a long weekend there and would recommend it to any frequent flyer, especially if there's a sale! (I booked during the last DSC promo when Qantas launched a Sydney-Noumea business class sale for $1000, then added a little creative routing either side for not much more money but many more status credits). Can you book through 3rd party (travel agent/webjet etc.) and still be elegible for the dsc? Yes. Most of my bookings are through a corporate travel agent and the double status credits have always applied. My question is similar to that of siowen. Can you book through American Express Travel and use the $450 credit for QF flights that their Ultimate card gives you? "An Eligible Flight for the purpose of this promotion means any Domestic or International Qantas operated flight with a QF flight number on your ticket where Status Credits are normally earned"
so reading that and considering the Amex offer, my understanding is that those flights would be eligible as they aren't considered a Classic Flight reward,as I believe they are booked in a SC earning fare bucket. I have also gone back and confirmed that my Amex booking in February 2018 (using a different card than you, but the same "promotion"), I flew on 24th and 25th February and the normal SC's posted on those days, with the DSC's posting on 27 Feb.
Hope you have the same outcome as it doesnt appear that the DSC offer T&C's are different this time. Seriously how dumb is that as a marketing faux pas !!,!??. I thought the double SCs only related to QF metal. How do the Noumea flights score double SCs when the flights are all made by Aircalin? Qantas flies its own Boeing 737 to Noumea on Saturday, Sunday and Monday, with Aircalin flying an Airbus A330 on the other four days of the week under a Qantas codeshare. Book the 'Qantas days' and you'll earn double status credits. Thanks David, I wasn't aware of this. I'll know to look for it next time! My comment concerns loyal Qantas customers who are located overseas wanting to make the most of the double status promotions. To make things easier for Qantas's many international customers, it would be helpful for the cut-off dates for the offers to be clearly notified in the main part of the offer (it really wouldn’t be hard to add “(AEDT)” or similar after the date) or, at the very least, to make the sure that the fine print is large enough to be prominent and easy to read. I have booked MEL-LHR on a Qantas operated flight during the Qantas DSC promotion period. Is anyone able to confirm definitively whether or not obtaining a successful upgrade from economy to premium economy / business class will result in the DSC offer being invalidated (ie on the basis that a "change" has occurred to the booking)? I contacted QFF about this and and they said it would not invalidate the DSC offer because I would still be on the same QF operated flight just in a different section of that plane. However, unless I get something in writing from QFF, I am not entirely convinced. Grateful if anyone can confirm. Does anyone know when the Feb/Mar offer is likely to be released? I really want to use this offer to hit Platinum, but I need to book ASAP. If it won’t be until March I’ll book with VA to keep Gold. Comment on "Making the most of a Qantas 'double status credits' promotion"